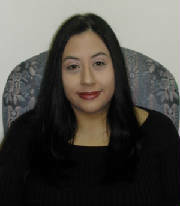 Christina joined the firm in October 1996 to assist with receptionist and administrative duties. She joined our bookkeeping staff in 2003 and serves payroll and accounting needs of a variety of clients. She services clients in the restaurant, retail and professional services industries. In addition, Christina assists with tax return preparation during the busy season. E-mail Christina at christina@efbcpa.com .